Eating is a serious matter in Hong Kong. Every day the city warbles a symphony of frying, chopping and sizzling at more than 11,000 restaurants, ranging from extravagant seafood restaurants to intimate family-run Cha Chaan Tengs (literally: tea food halls). Some of the world's finest and most recognized Chinese restaurants are here. One example is Lung King Heen. 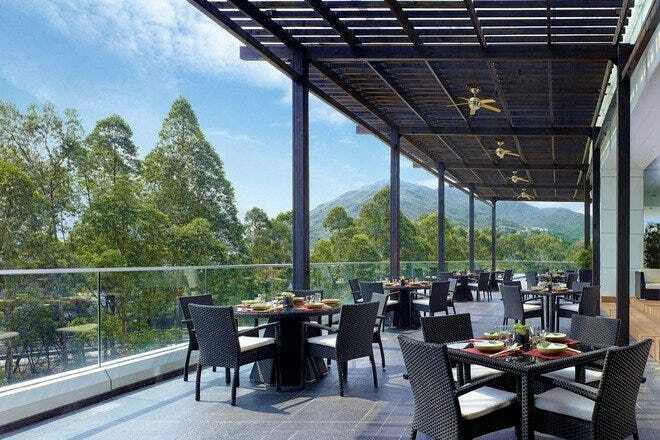 The Four Seasons Hotel's affiliation is celebrated for its sophisticated Cantonese cuisine and was the first Chinese kitchen in the world to get three Michelin stars. 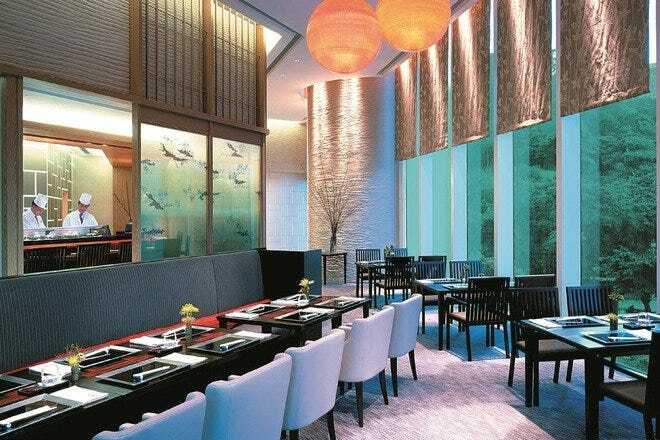 The fine-dining space is the top choice for a dim sum lunch with a harbor view if budget permits. The real Hong Kong flavor however, lies in the numerous neighborhood cha chaang tengs (tea food hall). This is fast food at its most delicious and creative. 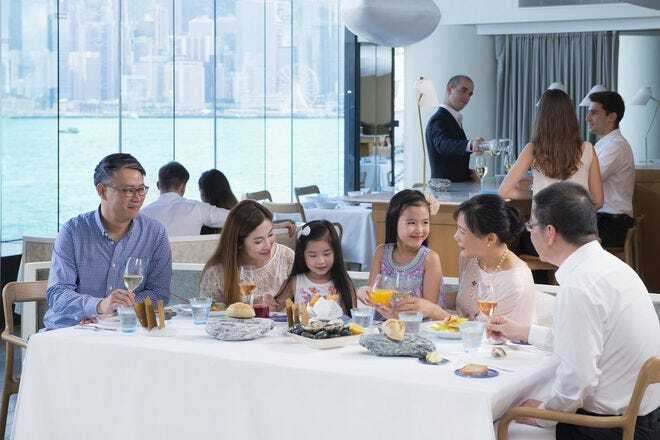 From a hybrid menu mixing Chinese, Indian, British and even Japanese, visitors can sample weird but extremely yummy dishes such as deep fried buns and macaroni with luncheon meat. 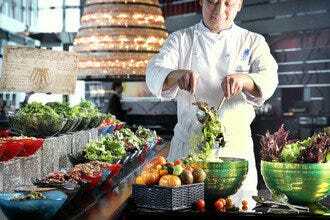 The city also has the most envied international food scene in Asia,with a vast array of cuisines that's like a United Nations smorgasbord. Orange Tree is a prime example. Some are helmed by celebrity chefs, others simply run with passion and good cheer by young up-and-coming men and women with a stong belief in the value of good food. This is possibly one of the most amazing restaurants in Hong Kong, combining views, food and drink that are all out of this world. 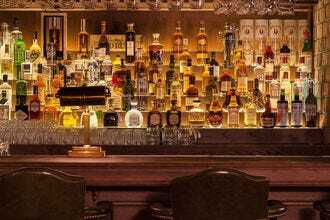 As one of France's greatest chefs Monsieur Alain Ducasse needs little introduction and it's in this superlative space (which some older travelers may remember when it was called Spoon) that he conjures up his personal interpretation of contemporary Gallic cuisine. Seasonal fish, seafood and oysters are the prime attractions here, served with style and no little enthusiasm on the part of the staff. Grassroots Pantry is one of the most impressive restaurants to have opened in Hong Kong in years. It's vegetarian, incredibly imaginative, and the food is presented beautifully amid inspiring surrounds. Very much the brainchild of the dynamic and visionary chef owner Peggy Chan, the Pantry is open for much of the day, dispensing the likes of coconut kefir yogurt parfait for breakfast, and buckwheat pappardelle Bolognese and kelp and mung bean noodle salad thereafter. Desserts include a stone fruit almond cobbler, and there are some stunning cocktails too like the gin and tonic with grapefruit juice and maple syrup. The prices are reasonable, the service superb, and the clientele charming. What's keeping you? Inspired by old school Hong Kong restaurants and the spirit of late-night Chinatown hangouts in 1960s New York, Ho Lee Fook is a funky Chinese kitchen where guests can enjoy a fresh approach to traditional flavors in a setting that is simultaneously nostalgic and forward thinking. Chef Jowett Yu's inventive cooking style reinvents classic Chinese dishes with premium ingredients, modern techniques and a touch of humor. Plates such as the Hokkaido scallops, snow peas, pickled enoki and salmon roe and Yunnan-style steak tartar with hot and sour sauce introduce raw elements to Chinese gastronomy, whilst the Szechuan style Strange Flavour Chicken demonstrates the influence of regional cuisines on the menu. The façade of Ho Lee Fook offers a full view of the restaurant's open kitchen, with an army of chefs slicing, dicing and working their magic on the wok. A rock n' roll playlist featuring the likes of The Rolling Stones, ZZ Top and The Black Keys sets the tone as guests are escorted to the downstairs dining room. 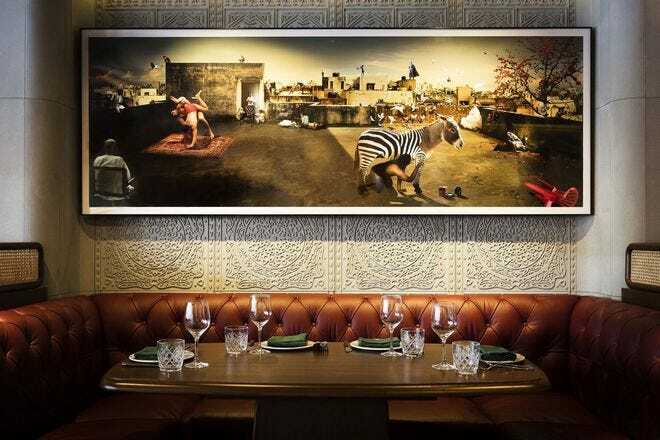 22 Ships, a project by Michelin star chef Jason Atherton, has a hip ambiance and comfortable neighborhood attitude. 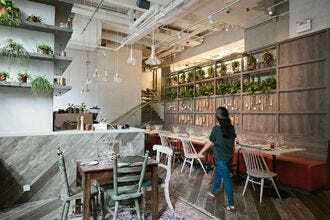 It is set to bring a unique flavor and vibe to Hong Kong, complementing Ship Street's casual and easy-going nature. 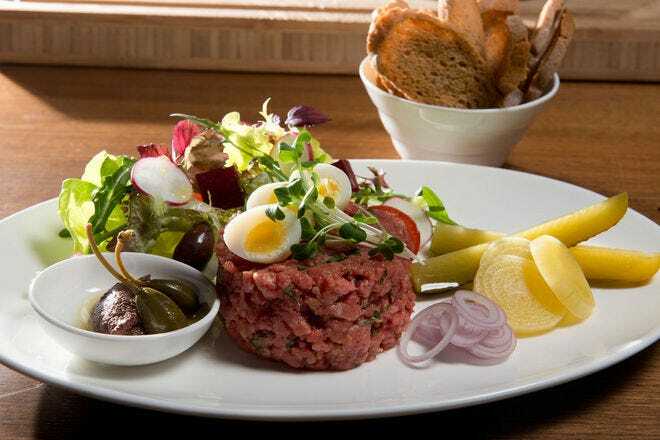 The buzz focuses on Atherton's modern tapas menu, created especially for 22 Ships, representing the modern face of dining - outstanding food that is reasonably priced. 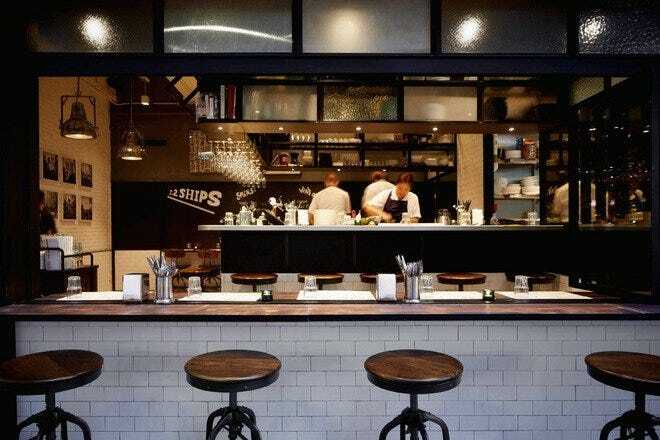 The team at 22 Ships also provide a friendly experience, going the extra mile to suggest choices and explain dishes. The 1,500 square foot eatery adds a fresh and convivial atmosphere to the metropolitan culinary scene, intimately seating 35. Blending into the neighborhood with a balance of vintage touches and modern charm, the venue offers inside table and communal bar seating, as well as relaxed al fresco dining and drinking. 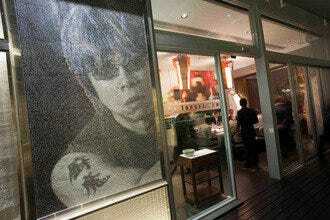 Don't be surprised if you are eating next to a celebrity or your waiter is good friends with Hong Kong's richest men. Fook Lam Moon, a family-run restaurant, has satisfied some of the most demanding taste buds over more than six decades. Food is expensive (an average bill stands around US$150 per head) but it's divine. 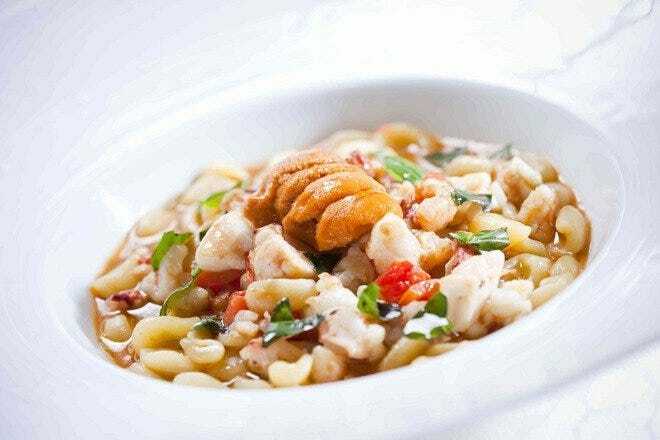 All the Hong Kong seafood staples are on the menu: abalone, bird's nest and lobster. Roast suckling pig is a must-try which consists of melt-in-your-mouth crispy skin and savory juicy meat. The dainty lau sa bao is another signature, which is a soft steamed bun filled with liquid custard made with egg yolk, butter and sugar. Be careful, the filling can be piping hot. 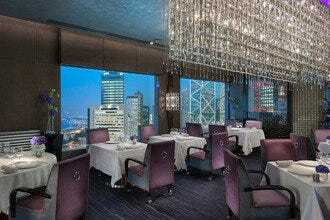 Put simply, this is one of the most fabulous restaurants to have opened in Hong Kong for years. The location is neat, the decor arresting, the seating inviting, the food Punjabi of course and really surprising and stimulating to boot. But best of all are the staff, a mix of nationalities who glide about the place with every appearance of thoroughly enjoying themselves. It might be a dinner party rather than a restaurant.Who could ask for more? NPC is helmed by Palsah Mitra, a Michelin-starred chef whose previous employer was Gymkhana in London. Everything on the menu is amazing, but the line-caught cobia with dill, carom seeds and tomato chutney is superb. A final note: G&T aficionados will thrilled to make the acquaintance of the trolley bearing several different brands of gin which makes an appearance shortly after guests have seated themselves. 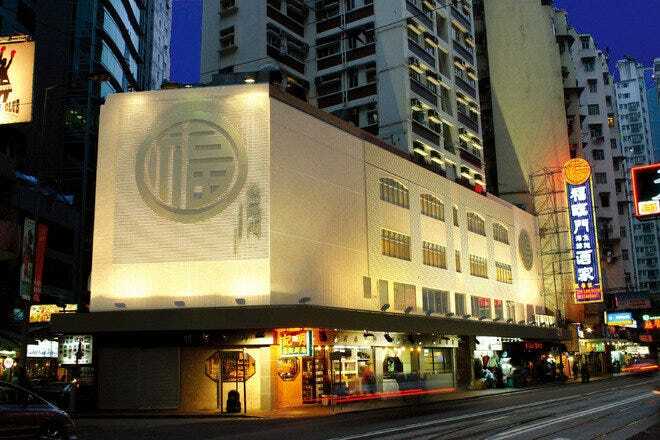 Named after the hotel's street address number "18" which also means good fortune in terms of Feng Shui, Sha Tin 18 is a new concept for Hong Kong, and one of the best Chinese restaurants serving authentic Dongguan and northern Chinese cuisine in a lively show kitchen environment. Customers can choose to appreciate a front row view of the chefs in action in the show kitchens, and enjoy the delicacies prepared by the chefs. 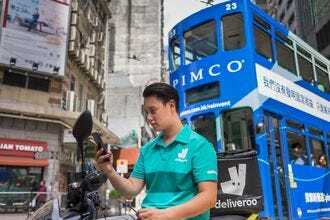 Signature items include tossed mustard greens, beancurd sheet, shallots, Houjie pan-fried fish cakes, Chinese dried sausages, handmade noodles and dumplings, traditional Peking duck and homemade Chinese-style ice-creams and desserts. Guests can also dine in one of the five private dining rooms for business lunches, meetings and private gatherings. The spacious outdoor terrace is perfect for alfresco dining with an outdoor bar, and can accommodate up to eight tables for banquets and weddings. 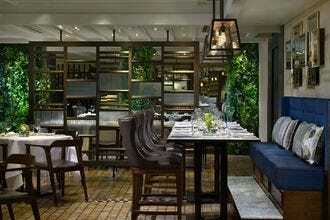 This intimate little Dutch restaurant thrives in the heart of Lan Kwai Fong. 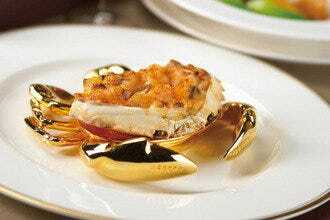 The owner imports much of his seafood from Holland, and maintains a dedicated hands-on attitude in the kitchen. 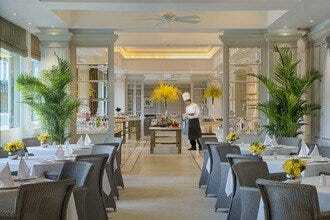 The restaurant is light and cheery, and lunches start with a hearty buffet of appetizers. Fish and seafood play a prominent role on the menu, the roasted organic chicken is naturally popular, as are steak and chops. The french fries, beautifully crisp and packed with flavor, are served in a distinctive stainless steel basket, while desserts include farm-ripened cheese. The staff are endlessly cheery and enthusiastic; if only all Hong Kong restaurants were such fun, good value and thoroughly delicious.